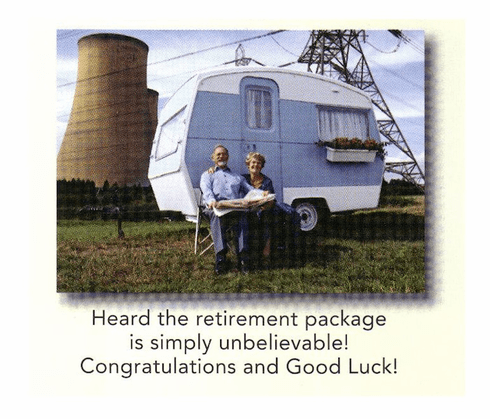 HEARD THE RETIREMENT PACKAGE WAS UNBELIEVABLE! CONGRATS. AND GOOD LUCK.